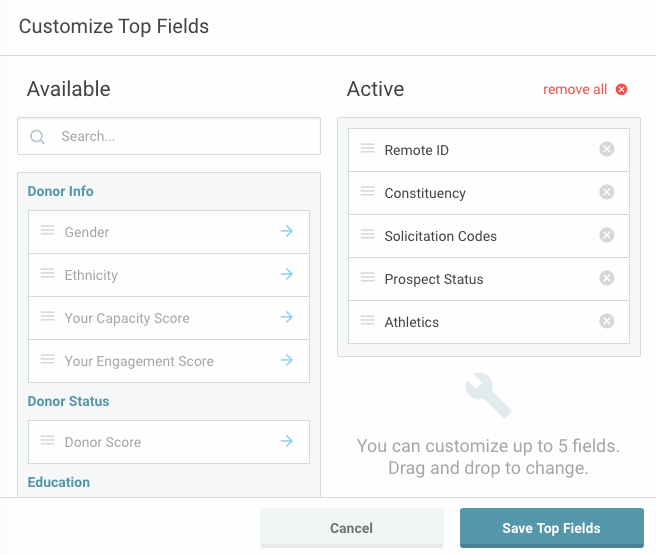 In EverTrue, you can now customize your Top Fields per user! 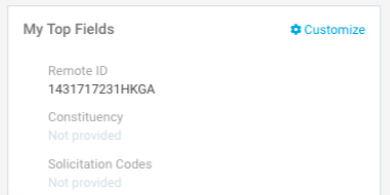 On a constituent profile in the Summary tab, your My Top Fields section allows you to choose at most 5 fields to display directly on the constituent profile in an easy to locate card. To set up and/or edit your Top Fields, click Customize in the upper-right corner. To remove a field, you can either drag and drop it from the right side to left or select the X icon to the right of the active field. Remember, to hit Save for your changes to be applied. You can customize up to 5 fields!